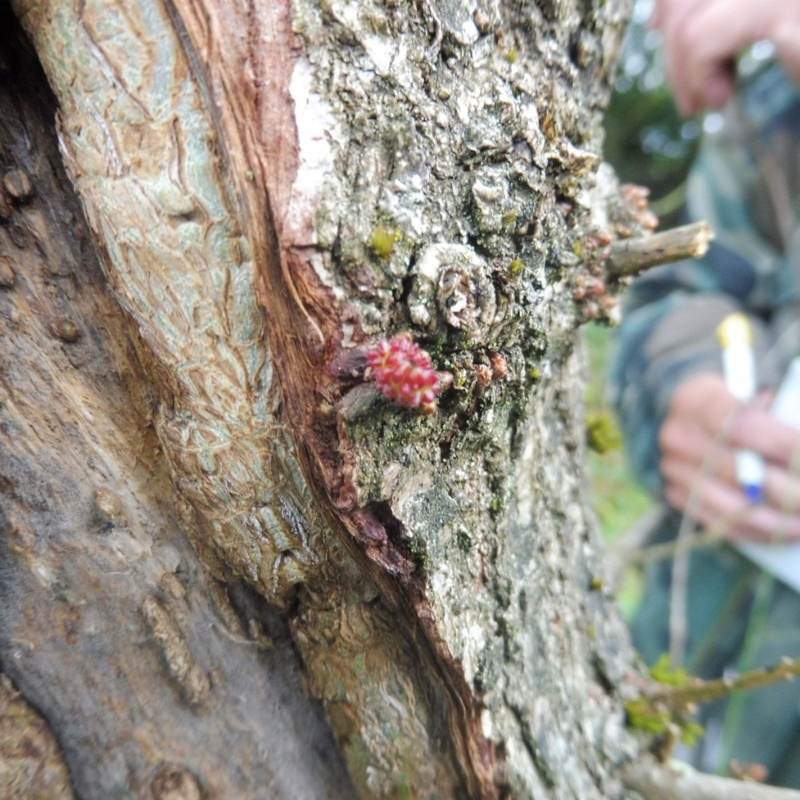 The larvae of the gall wasp Andricus gemmeus cause galls to form on Oak. The galls are rounded, 3 to 4 mm, often in clusters and arising from a dormant bud. The surface has rings of come like bumps and may be finely pubescent. It is soft and greenish-yellow at first, later becoming woody, red then brown. Where Oak (the host species) is present. The gall was not found in Britain until 2008 and is little recorded here at present. Uncommon or under recorded in Leicestershire and Rutland.